Offering the ultimate balance of power, control and weight, the Avid Rim Brake Shorty is a cyclocross brake that can be adjusted to a wide or narrow stance and has an open design for mud. Would you recommend Shimano STI's for these? Or would I be better served by buying Sram instead? 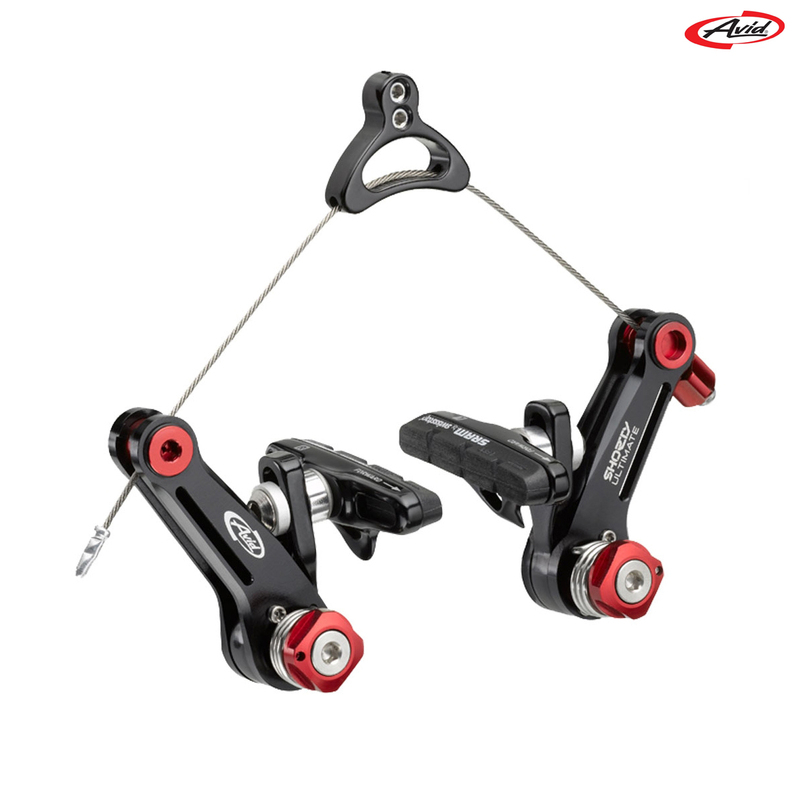 Both Shimano STI levers and Sram levers will be absolutely fine for use with these brakes so you can just choose which levers you would prefer. I have a 20 year old tourer with quite a narrow fork, and am looking to replace the front brake. I'm looking at the Avid Shorty 4 or Shorty Ultimate but need some reassurance that the brake would work without snagging the tyre, which is the issue with come other brakes I was hoping to fit, even at the limit of the setting. The pivot centres are 70mm apart and I'm running a Mavic A319 rim, which I think is 25mm wide. Any suggestions? Thanks in anticipation. After inspecting the Avid Shorty Ultimate brakes it does appear that they will fit and work with your bike without fowling on the tyre, but without having your bike here there is no way I can say for definite I'm afraid.